Stories of youths struggling to fit in are two a penny in the world of film. There have been so many from the US alone for instance, that their high schools are probably more familiar than our own education establishments, with Grange Hill being the exception, naturally. 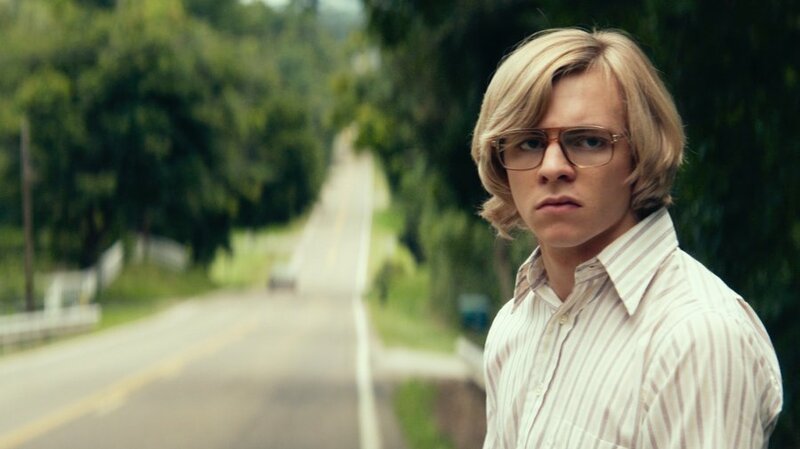 This film however, written and directed by Marc Meyers and based on a true story, puts its own curious twist on the genre, by focusing on the early school life of a certain Jeffrey Dahmer, who went on to achieve notoriety for committing heinous crimes. Attending a US high school can be hard work, socially that is. If you don’t fit in with the jocks, cheerleaders and the like, you could be in for a bumpy ride. Somehow Jeffrey (Ross Lynch) has managed to stay clear of being bully fodder and kept his head down. This has come at a price however, by not having any friends. He finds comfort in his make shift lab in the garden, where he takes road kill that he finds and puts them in jars of acid. Not the most socially acceptable hobby then. But being a loner takes its toll, and secretly Jeffrey yearns to be accepted. After hitting on the notion of behaving like he’s having a fit, a small gang of kids decide to adopt him, with one of them – Derf (Alex Wolff) – even going as far as drawing him as a quirky cartoon character. Finally, it feels like the unthinkable has happened, and that Jeffrey has found a group that he fits in with and can be himself around. But as time goes on, Jeffrey realises that perhaps there’s a reason – a very dark one – that he’s supposed to be a loner in this world. If the name Jeffrey Dahmer is unfamiliar to you then spoiler alert, he was a notorious serial killer in the seventies. Meyer’s doesn’t mention this upfront, instead choosing to reveal it at the very end. If you’re unaware of the facts from the off, the director plays with the emotions of the audience to a certain extent, with the opportunity to make them feel sympathy, to a degree, with the killer. And there’s certainly nothing wrong with giving your audiences moral dilemmas. What he also delivers is an origins tale, albeit that of a serial killer. But where it falls short, as do all poor origins stories, is by under-delivering on what the central character is capable of. There are heavy hints of what this young man could go on to become, and although menacing, it teeters on the edge of darkness, without ever plunging into it. By giving a fairly sympathetic look at his childhood, Meyer is offering a form of explanation towards his killing spree. And by offering one line as a post script at the end of the film, it’s hardly balanced. And unlike a Marvel juggernaut, it’s unlikely there will be a sequel to address his many crimes. Still, Lynch gives a truly chilling performance, made more so knowing that up until this point he’s best known for starring in a US show for Disney (Austin & Ally). And Disney does Dahmer this is not. A fascinating portrayal of the making of a murderer that could have benefitted from delving a bit deeper and darker.